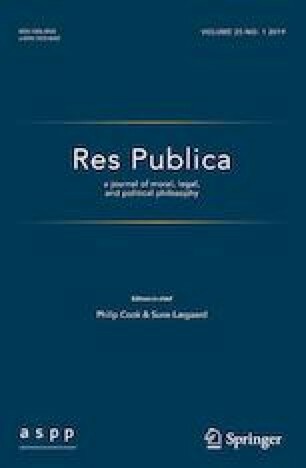 This contribution aims at discussing constitutional democracy in the age of populisms, by explaining how populist movements oppose liberal-democratic constitutionalism and by presenting the thesis of a so-called ‘populist constitutionalism’, as proposed by Mark Tushnet. In the first section, a general and analytic exploration of populist phenomena will be drawn, by focusing on the so-called thesis of a ‘populist’ constitutionalism. In the second part, Tushnet’s arguments for a populist constitutionalism will be presented, through the analysis of his two main contributions: Taking the Constitution Away from the Courts, in which Tushnet develops his critique of legal constitutionalism and judicial review as an undemocratic power by unelected justices, and Authoritarian Constitutionalism, a recent article in which Tushnet distinguishes between ‘authoritarian’ and ‘populist’ definitions of constitutionalism. In conclusion, such arguments will be discussed, by proposing a critical response to Tushnet’s position and presenting some risks of a majoritarian and populist constitutional democracy. This paper has been originally presented at the Conference ‘Philosophy and Social Science’ held in Prague in May 16–20, 2018. I want to thank Alessandro Ferrara, Simone Chambers, David Rasmussen, Andrew Buchwalter, Daniel Gamper, Steve Winter, Cristina Lafont, Thomas Claviez, Axel Müller and Benjamin A. Schupmann for comments, questions, suggestions and remarks which helped me to improve this contribution. I am also indebted to the Italian Institute for Philosophical Studies in Naples (Istituto Italiano per gli Studi Filosofici), where I am currently a postdoctoral research fellow, for having supporting me in my research activity and for the opportunity to work in a dynamic and intellectually stimulating context. Tushnet, M. (March 26, 2009). Against judicial review. Harvard Public Law Working Paper No. 09-20. https://doi.org/10.2139/ssrn.1368857.